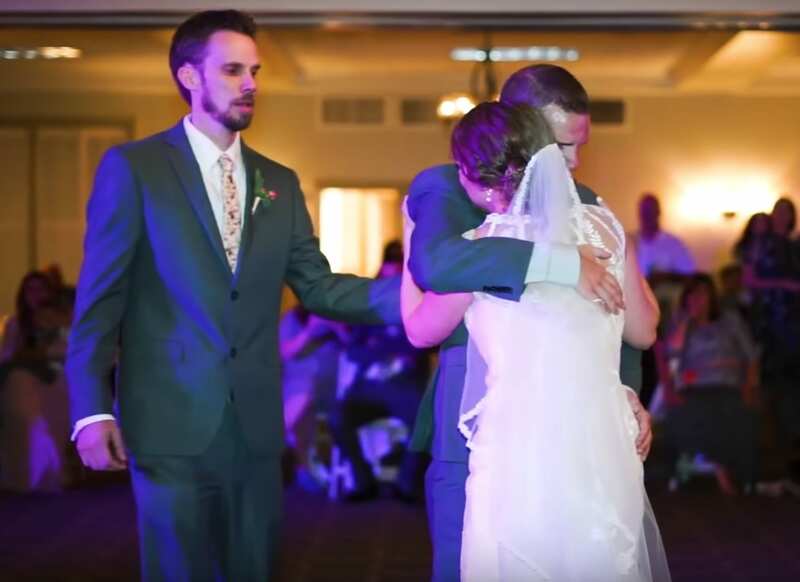 Weddings are often a cry fest. 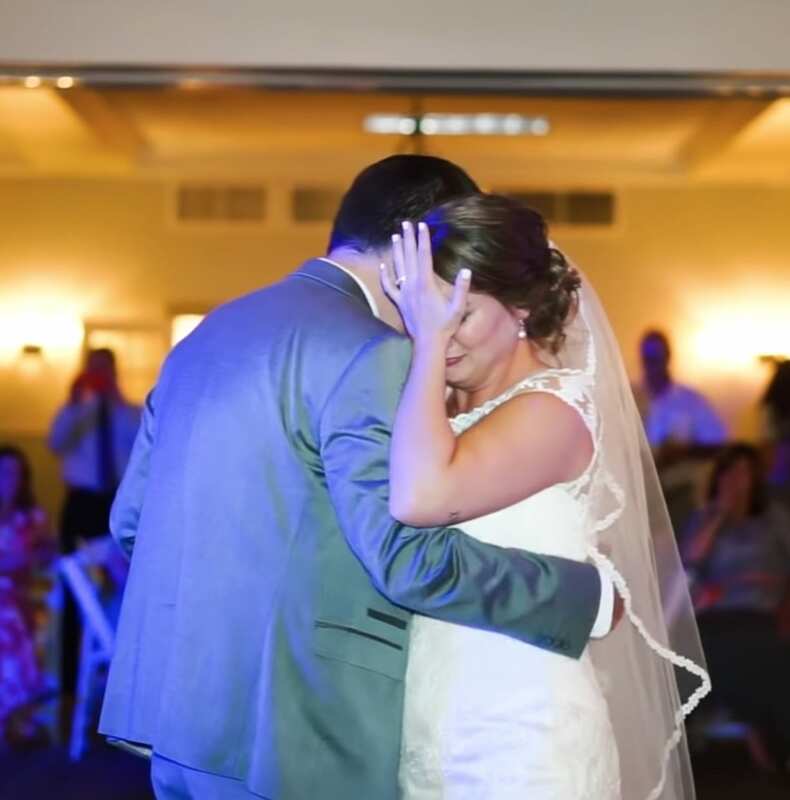 Tears of joy and unmanageable warmth and love flow during the ceremony and various dances and toasts throughout the evening. It’s such a wonderful time to celebrate family, joy, and love. 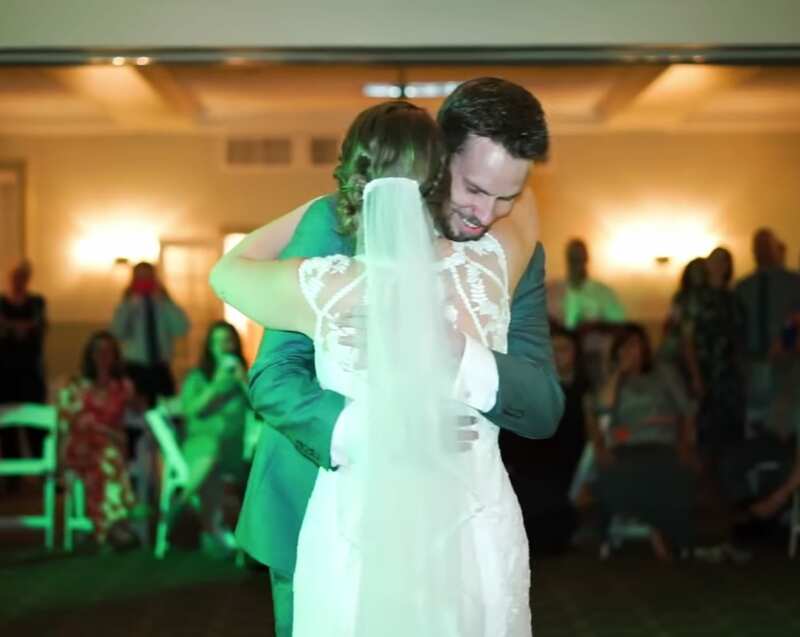 There’s no feeling quite like the overwhelming happiness you feel at a wedding. Sometimes though, when an important member of the family is missing, it can cause a dark cloud to loom over certain moments. 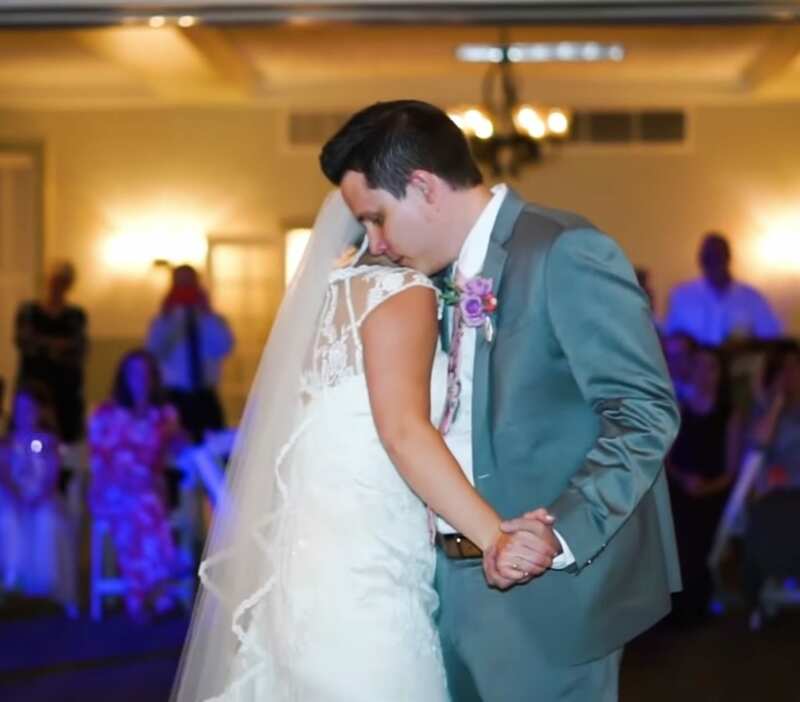 This bride Kaley’s Dad David suddenly passed away from heart disease, so he was sorely missed at the wedding. She’d always dreamt of the day that he’d walk her down the aisle and watch her get married and start her own life. 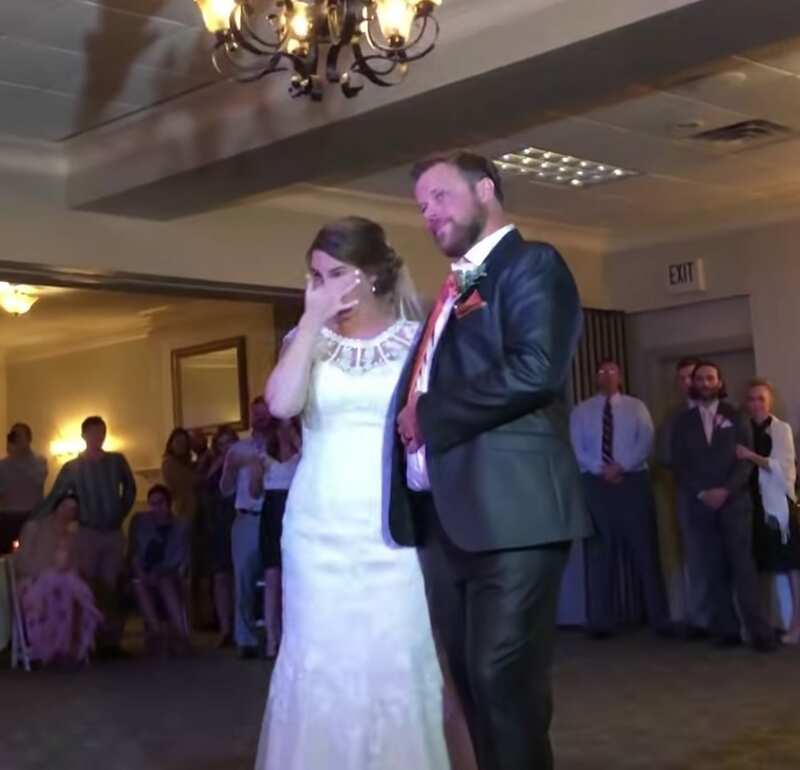 The wedding was beautiful and full of joy, but when it came time for a father-daughter dance, her family surprised her with something so, so beautiful. Kaley has five brothers, and each one of them took their turn standing in for their father. There simply was not a dry eye in the whole place. As Michael Bolton’s “Fathers and Daughters” played over the speakers, happy memories of their dad played through their heads as snippets of his voice were overlayed over the song. Clearly, Kaley’s dad lives on in her heart forever. Surely he was there with them in that room in some way or another, either watching over them or simply so alive and loved in their hearts. This may be very bittersweet, but in the end, the amount of love in this room is absolutely overwhelming. There’s no way around that. Here’s to Kaley and her family! May she and her siblings continue to step it up for each other and keep their father’s spirit alive, and may she and her new husband create a loving family unit of their own! 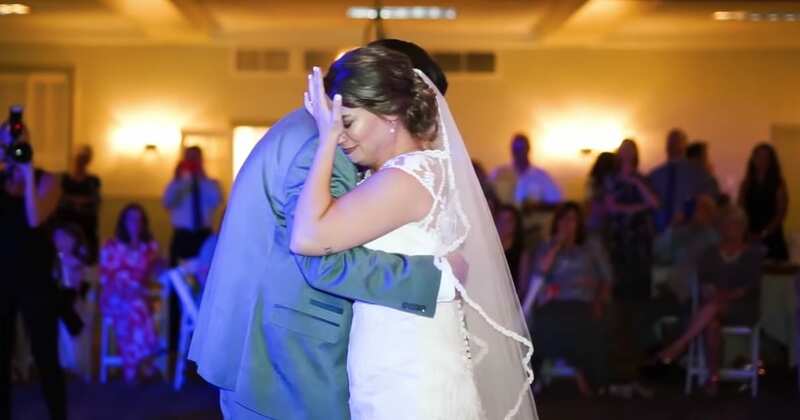 Have you ever witnessed anything like this at a wedding?